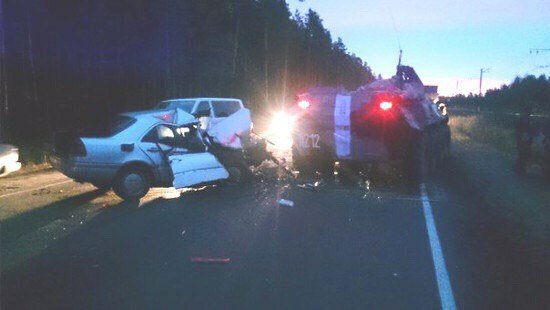 A Mercedes sedan came out the worse in a collision with a Russian BTR APC outside of St. Petersburg on Tuesday. 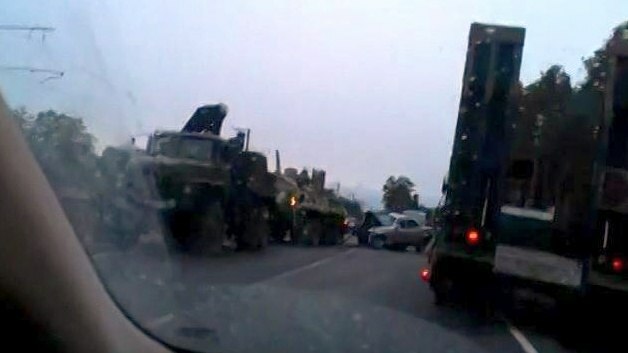 Remember folks, give armored vehicles a wide berth when driving. 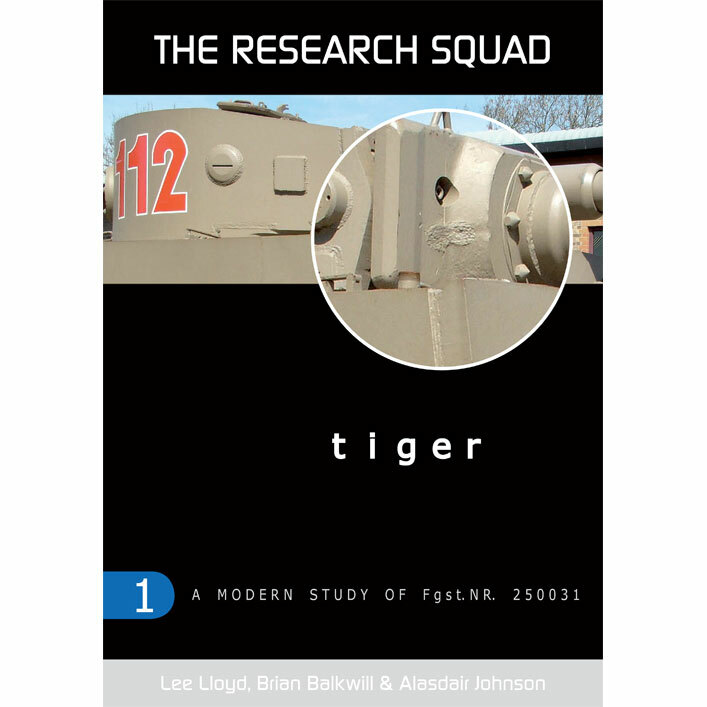 The Research Squad has announced that their Tiger tank book is at the printers and available for pre-order. The Research Squad are pleased to announce the upcoming release of Tiger: Modern Study of Fgst. NR. 250031, a complete photo study of the Aberdeen 712 Tiger tank. The Research Squad were given given special permission by the collection and Aberdeen Proving Ground Museum to fully document this important vehicle in order to create a photographic record for any future restoration work. This includes a full exterior walk-around, a complete documentation of the interior and also a detailed study of the engine compartment and engine. To this end the knowledge and expertise of many contributors were brought together, not least of which were our two technical editors, Liejon Schoot and Rob Veenendaal, without whose massive contribution this book would not have been completed. a detailed study of the engine compartment. This book is currently at the printers – all copies pre-ordered will ship first during November 2015. According to ynet news the Israeli Defense Forces have developed an APC based on the chassis of the Merkava II main battle tank. As the IDF has transitioned to the Merkava IV, older Merkava II tanks have been pulled out of service, making them available for other purposes. Israel has a long tradition of converting old main battle tanks into heavy armored personnel carriers rather than scraping or retiring them (see Nagmachon, Achzarit.) The Merkava series is well suited for conversion since its front mounted engine and transmission allows for soldiers to enter and exit the vehicle from the rear in typical APC fashion. The article notes that this Merkava II conversion includes removing the turret and ammunition storage racks as well as adding a rear ramp and a new air conditioning system. 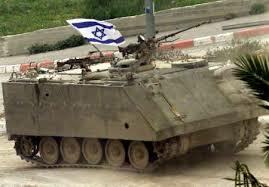 Currently, the IDF operates the Namer, a heavy APC based on the hull of the newest Merkava IV MBT. While the Namer will equip front line infantry units, the article states that the converted Merkava II APC vehicles will be issued to specific support forces, including medical, logistical and rescue units. A prototype of the Merkava II APC was fielded by the 7th Brigade’s command staff in an exercise this past spring in the Jordan River valley. It is reported that the IDF was pleased with the vehicles performance. More detail has been released concerning the tragic accident in Oregon involving a vintage M18 tank destroyer which killed two men. Authorities have released the names of the victims, Steven Todd Preston, 51, and Austin Tyler Lee, 22. Preston was the owner of the M18 and also the board director and convention chairman of the Military Vehicle Preservation Association. The cause of the explosion is not known although it is being investigated by the Oregon State Police and the ATF. It is being reported that one of the victims was alive when first responders arrived at the scene, but then died shortly after. Authorities may be helped in their investigation by the fact that a film crew was present at the time of the explosion. They were capturing video of the tank destroyer firing rounds which was to be used as part of a display of the tank destroyer in a future exhibit. According to the KTVZ news in Oregon, two people were killed at a firing range in an explosion involving an M18 Hellcat. The news report footage shows that the vehicle is named “Rachel.” No names of the victims have been released. “Rachel” is a well known vehicle, having been used in TV shows and charity events. The vehicle is owned by Steve Preston, a collector of military hardware and vehicles in the Portland Oregon area. He and his vehicle “Rachel” were featured in the Wall Street Journal last month. Photo gallery of Mr. Preston and his collection here. 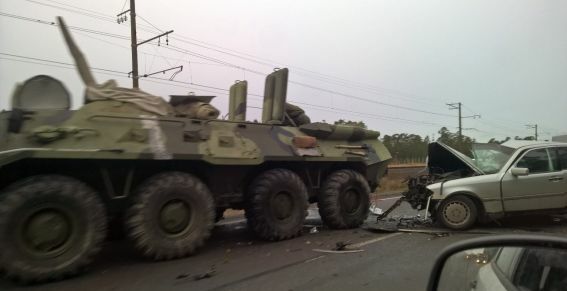 This is the second incident this year of a fatal accident involving a WWII era AFV. Update: The Military Vehicle Preservation Association has confirmed that one of the victims was vehicle owner Steve Preston. It is with great sadness that the MVPA reports the passing of MVPA Board Director and Convention Chairman Steve Preston. Steve was fatally injured in an accident Tuesday, October 27 while participating in an historic military vehicle demonstration, an event that was among his favorite activities. The Association will provide further information as it becomes available. The Board asks all MVPA members to keep Steve’s wife, Rachel, and two daughters in their thoughts and prayers. We were all touched and enriched by Steve, and will miss our dear friend. Tank and AFV News offers our most sincere condolences to the family and friends of Steve Preston. 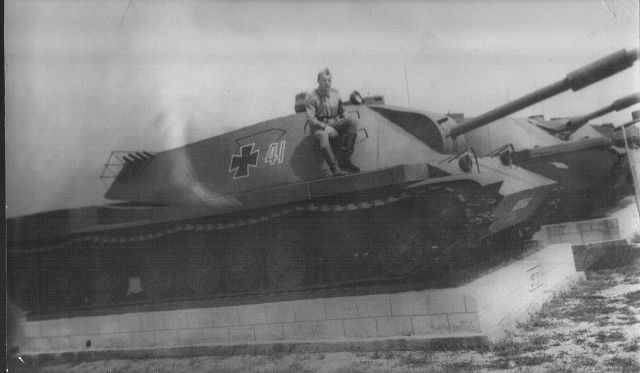 Here is a photo gallery of some AFV’s that have been modified to appear as enemy vehicles for training purposes. Most of these photos came from a couple foreign language live journal pages (1,2). We have tried to label the photos as best as possible, although some of them are a bit hard to correctly identify. We have tried to limit this gallery to VISMOD vehicles created and used for military training, not vehicles modified for use in movies or civilian re-enactments. We hope you enjoy these. Click “Read More” to see gallery.